CBD Oil Review rates Hemplucid with two stars because it qualifies for the Quality, Mission, Safety, & Innovation Badges. Hemplucid wants their customers to experience life again, whether that’s by using their CBD for migraines or helping their furry companions with CBD oil for pets. And they want customers to know beyond a shadow of a doubt that the CBD oil they purchase is pure, safe, and processed ethically. Hemplucid accomplishes their aims by transparently educating consumers and providing scrupulous documentation of each CBD product they sell. This brand brings much needed lucidity to an industry that can sometimes feel like the wild west. Other brands, take note. 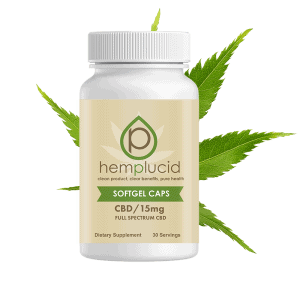 Shop now and save 15% off all Hemplucid CBD products! 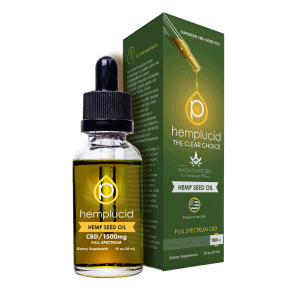 Hemplucid earns massive points for quality CBD oil and exhibits a transparency relatively unparalleled by their competitors. Not only are their CBD products sourced from reputable, certified organic farms in Colorado, their handling process dictates organic practices as well, and both of these organic certificates are published on their website. 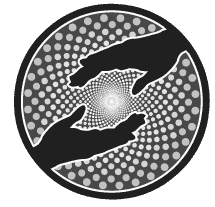 As the name suggests, lucidity is all about consciousness, awareness of each and every choice. Hemplucid empowers their customers with extensive knowledge of their choice in CBD oil by posting comprehensive COAs for each SKU PLUS a terpene profile and contaminants test that includes heavy metals. And they go even further! Customers can type in the batch number for their CBD product on the Hemplucid website for corresponding lab tests and quality control specification sheets. One word: WOW. We feel very confident that Hemplucid’s full spectrum and IsoTerp™ (this refers to their patented process of isolating CBD from the plant, stripping it of all other compounds, then reinfusing powerful terpenes) offerings are safe, potent, and contain exactly what they say they do and don’t. 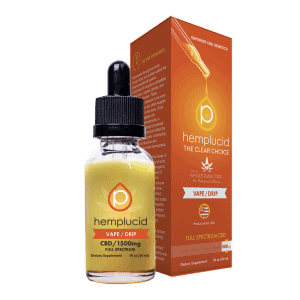 Hemplucid utilizes clean, CO2 critical extraction for the CBD oil in their beautiful product line. We love the inclusion of both whole plant formulations and CBD isolate that caters to consumer preferences while maintaining consistent integrity. Full spectrum tinctures are available in nano-sized, water-soluble form or suspended in either MCT oil or hemp seed oil. The Kalki line features IsoTerp ™ tinctures and gummies for those who prefer CBD isolate. What’s great about this patented technology is that it offers the best of both worlds: pure CBD isolate and turbo terpene power. We’re also impressed by the Kalki gummies that use zero artificial flavors, organic sugar sources, and natural coloring agents like turmeric and grape juice concentrate. These are some of the highest quality gummies we’ve seen. 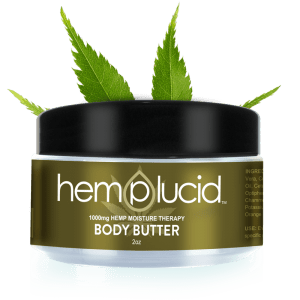 Hemplucid manufactures full spectrum CBD wax, CBD softgels, full spectrum CBD gummies with all the goodness of the Kalki version, CBD lip balm, body creams, and CBD for pets as well. We have just one bone to pick with Hemplucid. Like many companies, they’re using polysorbates, -80 and -60 in their CBD drip and CBD cream, respectively. These are emulsifying agents treated with ethylene oxide, a noxious chemical with documented health risks. We suggest natural alternatives like beeswax would better align with Hemplucid’s ethos. Hemplucid’s CBD products are sourced from organically grown hemp, CO2 extracted, and processed using best practices. Hemplucid posts third-party COAs, terpene profiles, and contaminant tests for each SKU. Customers may also enter a batch number to receive this documentation for their specific CBD product. Hemplucid is dedicated to providing lucid education and products to help people understand and experience the natural benefits of CBD. Hemplucid uses patented IsoTerp™ technology to strip and isolate CBD, then re-infuses it with flavor terpenes in their Kalki line. They offer consumers the ability to see safety/purity documentation by entering their batch number online. I used Hemplucid when i asked my husband to buy me cbd and he found this brand. I thought it is no effective because it is less expensive than the previous brand i used. But i was wrong. The pain im my feet went down to 2 in a scale of 10. It relieves my mild anxiety and i sleep better. My husband doesn’t believe me but today he tried it and surprise how calming it is and the pain on his lower back was gone. Thank you Hemplucid. I have used been using the CBD oil water sellable 1500 MG for the past two months. I have never felt better. I suffer from IBS ,depression,Gerd, and anxiety. I have tried several supplements throughout the years and now I take just the CBD for all of them. I wont purchase another CBD Brand besides hemplucid. I have decent, not great results with Hemplucid painwise, though it does not help with my insomnia but I am concerned because my current cartrige leaks a bit into my mouth sometimes and it tastes very sweet, like something was added. I grew cannabis for 12 years and never tasted or smelled anything like that even in my super sativas. It tastes chemical, like an artificial sweetener. I have to use a lot too so I don't want all of that, just relief. Amy, Please feel free to contact us and let us know some more about your experience. We want to make sure we are always improving our products. 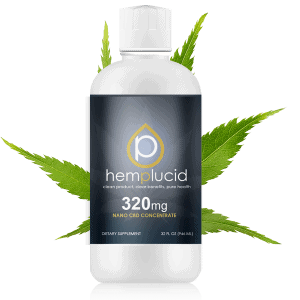 Hemp Lucid does have their products lab tested and the results right there on their site. As a father of a daughter with seizures, it has been my goal to find the BEST natural product on the market. Hemp Lucid is what we use. Its a great product and it has worked better for us than any anti-seizure med has ever worked. In my opinion, giving a 2 star review to this product is doing a disservice to anyone looking for a great product and might pass this company up. I have recently switched over from hemplucid to another product, only to avoid a potential fail in the event of a drug test (currently looking for other employment), however i’m not as happy as i was when i was taking the hemplucid. I suffer from IBS & have major anxiety. About 3 days after taking the hemplucid everything changed, my IBS was non-existent and i no longer felt my heart trying to beat out of my chest. There were other improvements that i hadn’t noticed until i stopped taking it and those issues came back. So i’m definitely going back to hemplucid’s full spectrum products and looking forward to normalcy again. I did let my mom try it for a few days but she couldn’t get over the taste, i liked the taste, it reminded me of my past trips to Colorado ? I love hemplucid! Good quality, good price, and helps my chronic pain. Hemp lucid is a brand that I can trust to give me quality product. I know that I’m getting my money’s worth and then some. Hemplucid’s products have been vital in helping me control my IBS. I’ve had three bottles of it and they all are consistent with each other. The effectiveness of their CBD is impressive and has been keeping me a repeat customer. Great product, quick shipping. I love the cbd body cream and water soluble cbd solution. Now part of my daily routine. I have seen wonderful benefits of this brand. It is unique to other brands that I have looked into. Definitely the best. 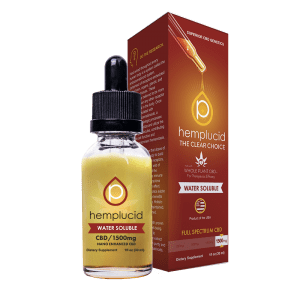 My family and I have used Hemplucid for the past year and I have seen tremendous benefits. My father-in-law uses it to calm his tremors from Parkinson, my son for his anxiety, my wife for back pain and I use it as a daily supplement. I was not a supporter of Hemp but now I am. Thanks, Hemplucid. I have been using Hemplucid for a few months now and I love it!!! It has a good taste and is effective for health. I would recommend it to ALL who need a good Hemp-oil. I love Hemplucid cbd oil and have been using it for 1 year with amazing results. It helps with anxiety and depression, I no longer take meds for that. It helps with insomnia,and pain as well and my chronic digestive issues after a surgery that left me with permanent damage. I've experienced improvement beyond what I had hoped for. Thank you Hemplucid for your amazing high quality products and outstanding service. I purchased Hemplucid CBD oil and topical lotion a few months ago. My husband has MS and I have Fibromyalgia. It has worked for both of us! I am now able to go on more walks with my son and dog and my pain is less. His pain has diminished as well as his mood is better. I find their products to be above many others!!! Hello. I just wanted to stop in to say how your product saved my life! I was in a terrible car accident in 2015 which left me partially paralyzed and in constant pain from a shattered acetabulum. I was on pain meds for awhile but the dr was no longer able to prescribe so I was left to be in pain, thinking I had no other options. I found this product and I’ve been practically pain free for close to 6 months! Thank you for saving lives everyday. I can play with my kids and enjoy life again! Love you guys! I struggled with a brain injury post concussion syndrome for 6 years. Hemplucid products are amazing. Once I started taking their CBD consistently/daily. I saw improvements slowly. It helps with my anxiety. Brain fog & depression & more I am very pleased with their products. We have been very happy with the results we have achieved using Hemplucid! After a year of many issues I sustained from a Traumic Brain Injury. I finally found relief!! My headaches, neck and back pain, speech issues, sleeping issues, and depression and anxiety I can finally take my life back!! Hemplucid helped me control my issues and live again!!! Thank you so much!!! I love hemplucid products! I feel so much better during the day after taking my dose of CBD!! And the shipping is extremely fast always!!! Love their products and fast shipping!!! Thank you for giving me my life back hemplucid!!! I’ve been happy with Hemplucid. I have used the water-soluble formula. I can find their laboratory results, which are important to me. No unnecessary ingredients too. I intend to purchase again! The best CBD oil on the market! I like the clear bottles that shows off the purity of the product. I like how good I feel too. Would and do recommend Hemplucid to all of my friends. I didn’t like it at all, no results from it. The taste is disgusting, stirred into fruit juice it didn't dissolve but clumped to the sides of the cup. Reminds me of ground up weed mixed in oil. I'm curious as to what product you were using? It keeps me and another woman I know who also has M.S. completely seizure-free (and she used to have seizures daily). The proof is in the pudding. I've had great luck with Hemplucid. I get the hives with Bluebird Botanicals and they have been evaluated. I don't know why I would get hives with their water soluable Hemp Complete. Do you have any ideas?